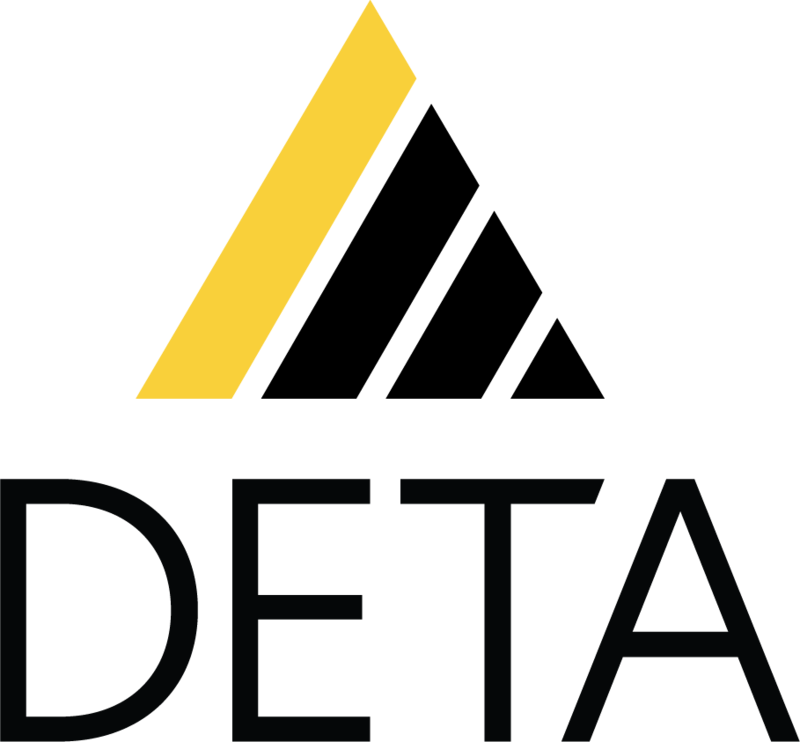 A DETA update. WCET Frontiers. Retrieved from https://wcetfrontiers.org/2018/07/26/a-deta-update/. 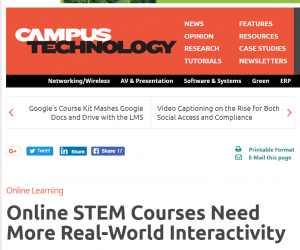 Online STEM Courses Need More Real-World Interactivity. Campus Technology. Retrieved from https://campustechnology.com/articles/2018/07/09/online-stem-courses-need-more-real-world-interactivity.aspx?m=1. Scaling Solutions to Higher Ed’s BIggest Problems: A NMC Horizon Project Strategic Brief. New Media Consortium. Retrieved from http://go.nmc.org/solution. 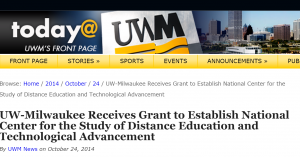 DETA Advances Distance Ed Research Through Grants and a Toolkit by Russ Poulin, WICHE Cooperative for Educational Technologies (WCET). 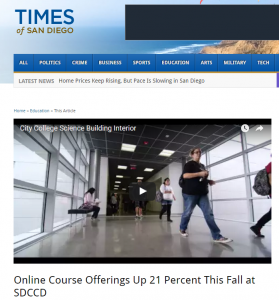 Retrievable from: https://wcetblog.wordpress.com/2015/10/19/deta/. 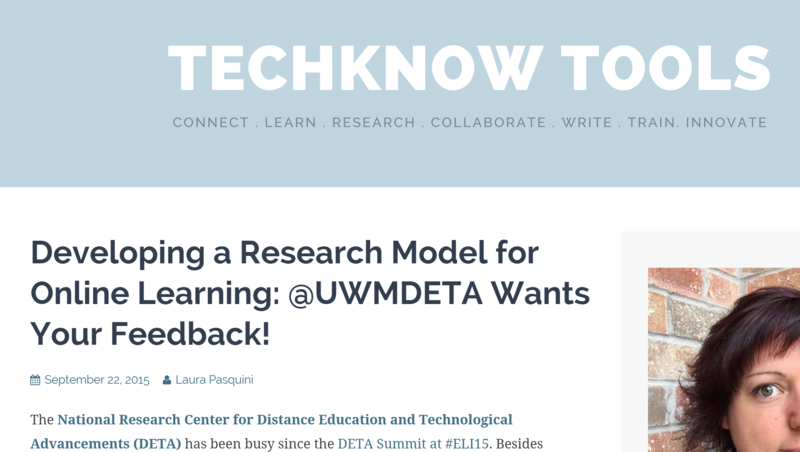 Developing a Research Model for Online Learning: @UWMDETA Wants Your Feedback! by Laura Pasquini, Techknow Tools. 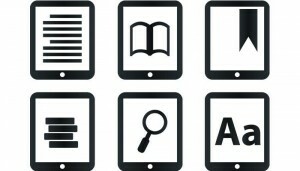 Retrievable from: https://techknowtools.wordpress.com/2015/09/22/developing-a-research-model-for-online-learning-uwmdeta-wants-your-feedback/. 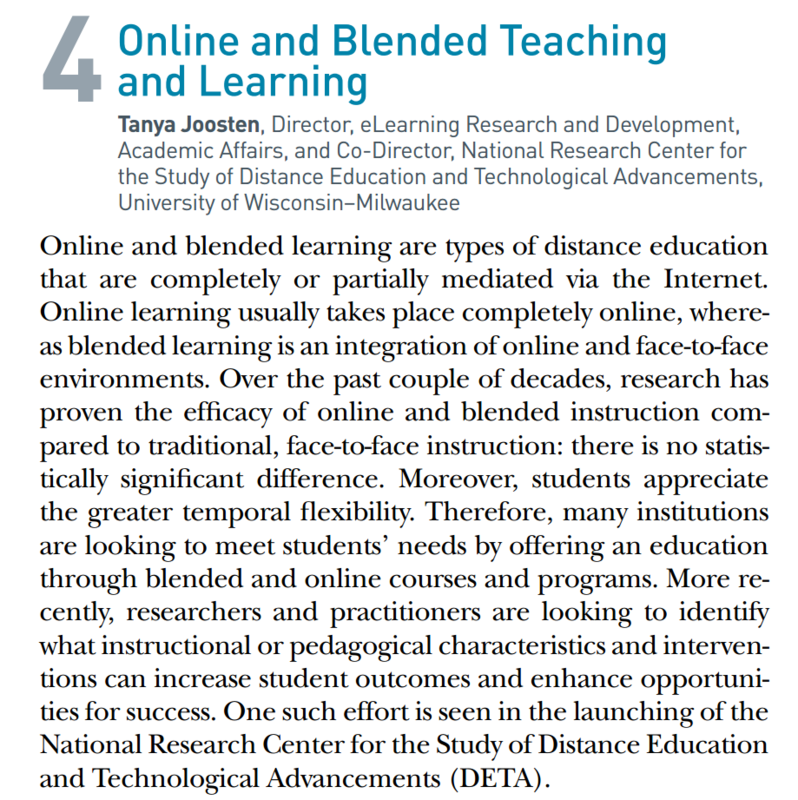 Research to Ensure Access and Success in Higher Education by Tanya Joosten. 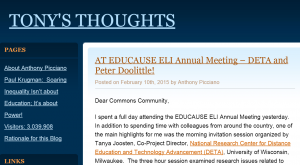 Retrievable from: http://www.educause.edu/ero/article/research-ensure-access-and-success-higher-education. 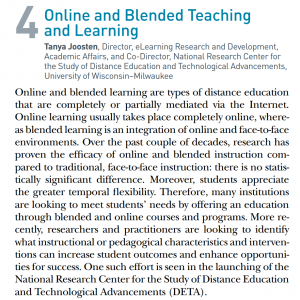 WICHE Cooperative for Educational Technologies (WCET), Defining a research agenda for distance education by Russ Poulin. Retrievable from: https://wcetblog.wordpress.com/2015/02/10/deta2015/.